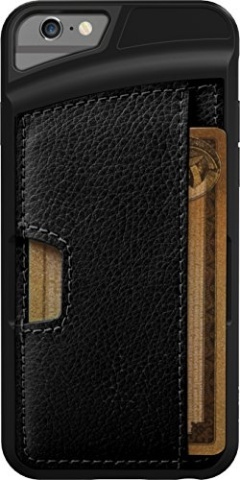 The Q Card Case for iPhone 6 by CM4 is an ultra slim iPhone 6 wallet case that fits 3 credit cards plus cash in a premium, protective soft-touch and fabric case. An exclusive patented soft-touch rubber and premium fabric construction blends to form a streamlined pocket to carry up to just what you need while on-the-go. 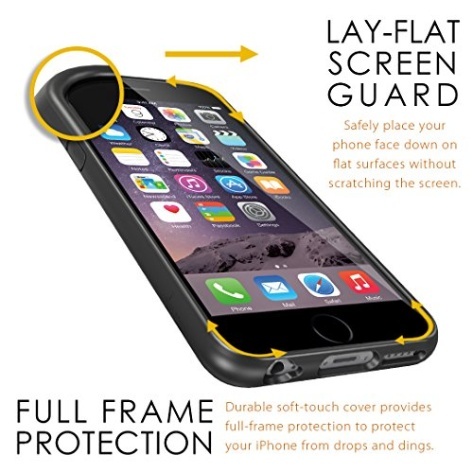 Meanwhile, the Lay-Flat Screen Guard design and Natural Throw buttons provide ultimate screen protection and enhance the organic connection with your iPhone. 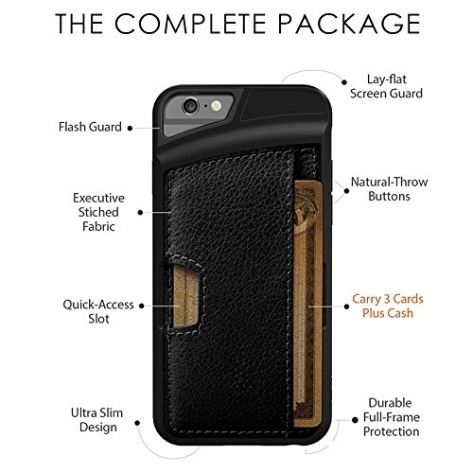 The Q Card Case marries the essentials of a wallet to the form factor of your iPhone. 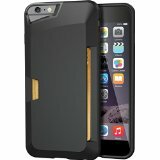 CM4 is a premium experience brand that designs products to enhance the user experience. 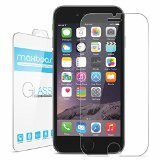 Our mission is to expand and evolve the devices that you use to interact with life. 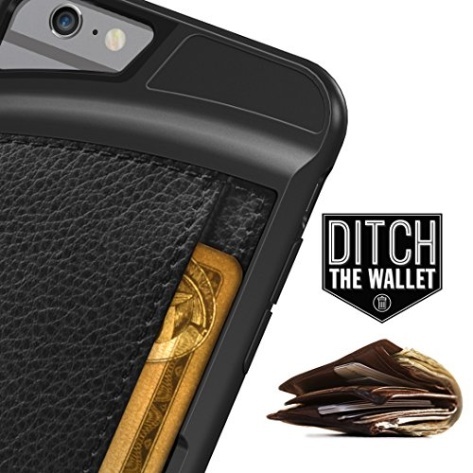 When it comes down to it, all you need to get through most days are your phone, ID, and a credit card. 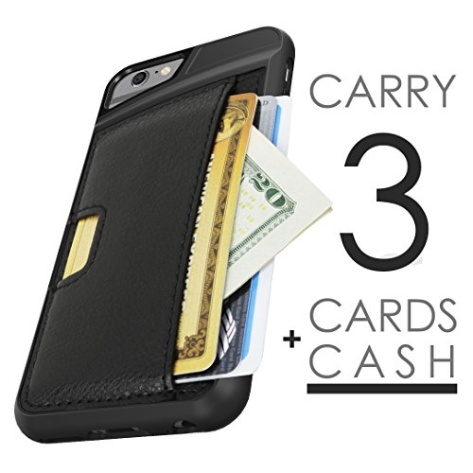 Foster simplicity by exchanging the bulk of a wallet for the sleek Q Card Case. Remain confident in your iPhone's protection with the Q's Lay-Flat Screen Guard and full frame design. 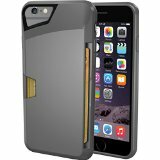 The Q Card Case safely elevates the iPhone's screen with a protective front bezel. 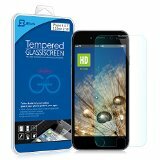 This means you can safely place your phone face down on flat surfaces without scratching the screen. 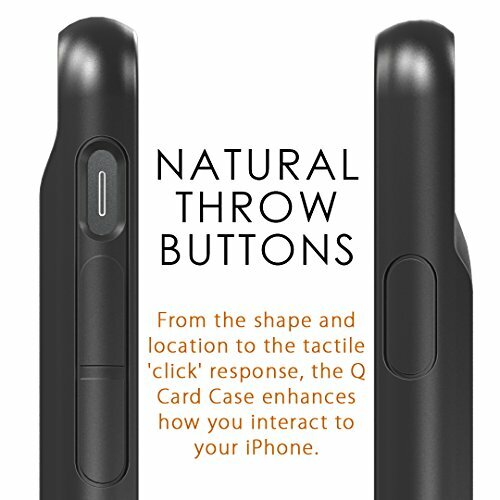 The Q Card Case is specifically design with Natural Throw buttons that maintain an organic connection with your iPhone. From the shape and location to the tactile 'click' response, the Q Card Case enhances how you interact to your iPhone. Soft-touch rubber and premium fabric combine to form a surface that comfortably stays in your hand but won't stick to the liner of your pocket. 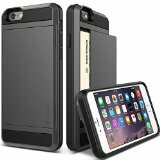 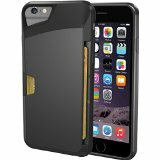 The case also securely holds your cards while providing convenient access to quickly slip them out when needed. 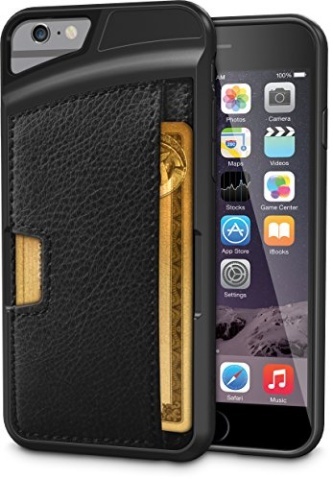 From the executive stitched fabric to the quick-access slot, every detail of the case has been thoroughly considered. 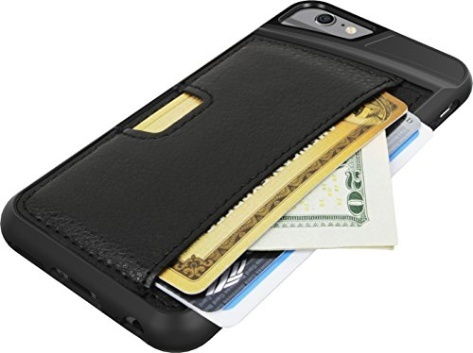 The Q Card Case packs enormous functionality into an ultra slim design. 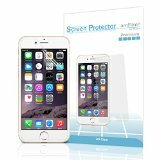 iPhone 6 Screen Protector, JETech® Premium Tempered Glass Screen Protector for Apple iPhone 6 4.7"